Home Destinations Tickets for Mickey’s Halloween Party at Disneyland on Sale Now! We may be in the dog days of summer, but Halloween will be around the corner before you know it – especially the Disney version, which starts a month in advance! Tickets are now on sale for Mickey's Halloween Party, which takes place at Disneyland® Park on select nights Sept. 11-Nov. 1, 2015. In addition to spooktacular fun, this year's event allows you to enjoy the excitement of the Disneyland Diamond Celebration for Disneyland's 60th anniversary, including the addition of the new “Paint the Night” parade during the expanded 17 nights of Mickey’s Halloween Party. As a reminder, while Mickey’s Halloween Party will include “Paint the Night” parade and “Halloween Screams” fireworks, Mickey’s Costume Party cavalcade will not be featured this year, and “Disneyland Forever” fireworks will be presented on non-party nights only. Mickey’s Halloween Party takes place on the following nights: Friday, Sept. 25; Monday, Sept. 28; Wednesday, Sept. 30; Friday, Oct. 2; Monday, Oct. 5; Wednesday, Oct. 7; Friday, Oct. 9;Monday, Oct. 12; Wednesday, Oct. 14; Friday, Oct. 16; Monday, Oct. 19; Thursday, Oct. 22;Friday, Oct. 23; Sunday, Oct. 25; Tuesday, Oct. 27; Thursday, Oct. 29; and Saturday, Oct. 31. 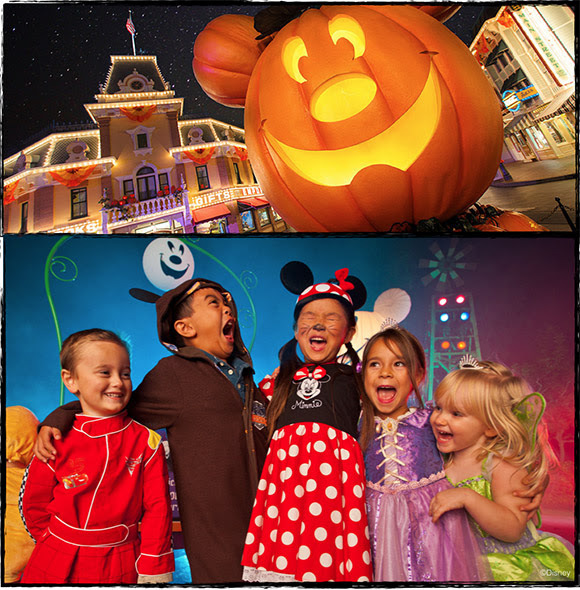 Contact your Mouse Fan Travel agent to secure your Mickey's Halloween Party tickets today!